Was Call For Papers — Call for Papers: Conference "The ”Great White North”? Critical Perspectives on Whiteness in the Nordics and its Neighbours"
Race is a thorny issue in the global north. It cannot be addressed comfortably in environments that understand themselves to be ‘colourblind’ but are, in fact, overwhelmingly white. This seems to apply particularly to the Nordics, where notions of equality and fairness are so central to a collective sense of identity, and where the prohibition of racial discrimination dominates discourses about race. However, recent publications have tackled the issue of ‘Nordic whiteness’, taking up the perspectives and methodologies of post-colonial studies to critically engage with the seemingly non-colonial, colourblind (or even colourless?) societies of the North (e.g. Lundström & Teitelbaum, 2017; Loftsdottir & Jensen, 2012; Garner, 2014; Hübinette, 2017). This conference invites researchers to build on that work, and particularly welcomes contributions from a cultural and humanities driven perspective. The conference-organizers are committed to examining post- and de-colonial perspectives on Whiteness that do not take ‘modern’ nations and regions as their point of departure, and can therefore accommodate different practices of migration, different understandings of indigeneity, and different ‘Nordic’ ethnicities. As Sarah Ahmed has noted, whiteness is an inherited history (and thus culturally specific and malleable) that shapes bodies, affecting how they take up space and what they can do. This opens up perspectives for research on the languages and practices of ‘belonging’ that we aim to explore during the course of the conference. - Questions of linguistic/cultural difference in the expression and representation of Whiteness. How are issues of race, colonization, whiteness and belonging expressed in the different languages (either ‘national’ or different indigenous languages) used in the region, and how do linguistic and cultural differences inflect the experience of racialized bodies? What kind of ‘language ideologies’ are at work in the construction and expression of Nordic Whiteness? - Questions of belonging and their change over time. Where can a chronologically as well as geographically ‘blurred’ perspective take us, how can we look for (imagined) continuities and changes in the meaning of Whiteness and Otherness (rather than contrasting ‘historical’ and ‘contemporary’ views). This could include, e.g., questions about the current ‘use’ of history by white supremacist groups, but also the transitory meaning of ‘Whiteness’ as a category. The conference aims toward a diverse, multi-disciplinary field and welcomes contributions mobilizing methods in fields such as anthropology, linguistics, history, cultural studies, sociology etc. We are keen to open up a conversation regarding ‘the Nordics’ in a broad sense, showing its diversity in modes of belonging as well as its different (indigenous) languages across Scandinavia, Finland, Iceland, Greenland, Lapland and (Western) Russia. 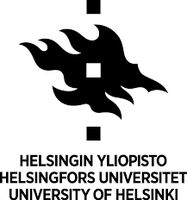 Proposals for twenty-minute papers should be uploaded to our website (https://www.helsinki.fi/en/conferences/the-great-white-north/call-for-papers) by April 30, 2019 and include: a title, an abstract of up to 300 words, contact details and institutional affiliation, and a note of any particular requirements. The conference will be preceded by a graduate workshop on the same issues, introduced by prof. Kristin Loftsdottir (University of Iceland). Proposals to take part in the graduate workshop can equally be uploaded to our website.